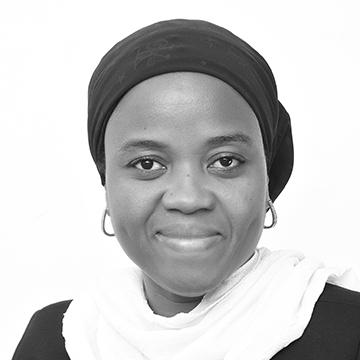 Muniratu is the Country Director for Varkey Foundation, Ghana. Muniratu was previously the Project Manager for the DFID funded Making Ghanaian Girls Great! (MGCubed) Project implemented by the Varkey Foundation. Muniratu has been working in the development sector for the past 15 years and has over the years successfully designed and implemented development Projects in diverse areas including education, local governance, water and sanitation, mental health, gender and social protection. Muniratu has vast experience in the Non-Government sector, prior to joining the Varkey Foundation, she had worked with CLUSA (Cooperative League of USA), BasicNeeds, WaterAid, Camfed and ActionAid Ghana. She has an interest in gender research and programming and has been involved in studies in gender and natural resource management in West Africa, funded by USAID. Muniratu has enormous experience in nurturing and mentoring girls clubs and networks. Muniratu has an MPhil in Development Studies from the Institute of Statistical, Social and Economic Research (ISSER) of the University of Ghana.